My good friend F. came into town via the train from NYC on the same Friday morning that the Crystal Bowersox/American Idol parade was scheduled. His cab driver enthusiastically told him all the details. 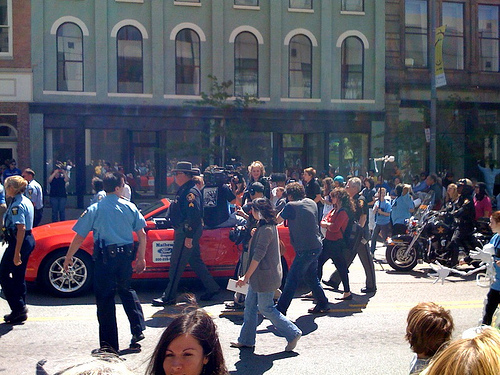 Neither of F. nor myself actually watch American Idol but this being his third visit to Toledo, and my love of giving all of my visitors a truely Toledo-centric time, we walked to Summit Street after breakfast to enjoy the parade. 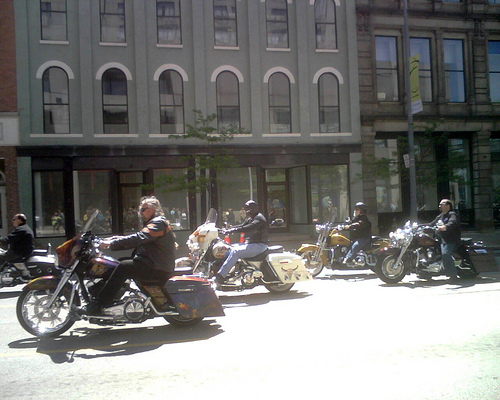 Having a mayor on a motorcycle is as good a draw as any. 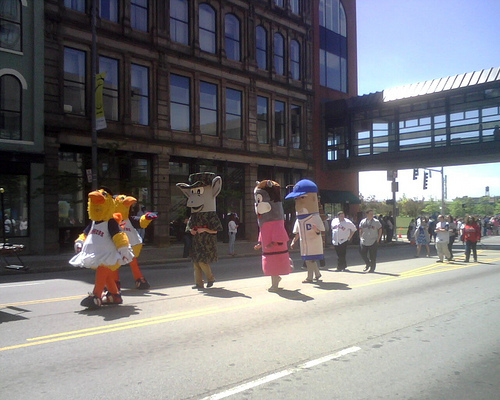 There were quite a few mascots, and aside from the baseball team and the hockey team I was unable to identify for F. the other, silly tube-shaped characters. Any clues? 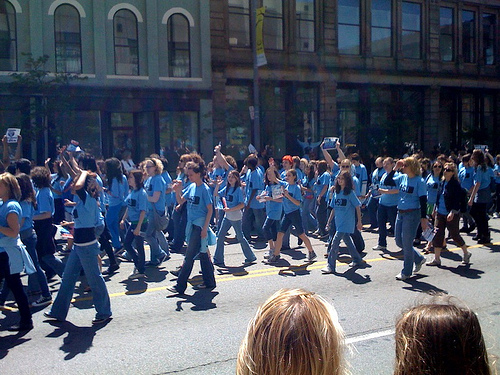 The Toledo School for the Arts had a good deal of pride during the parade. And they should have! Crystal Bowersox is an alumni of that fantastic school located in uptown Toledo. 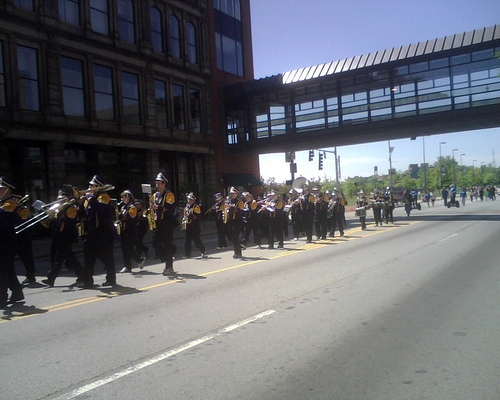 And at the end of the parade, there was Ms. Bowersox. As I post this we know that she is 2nd in place for American Idol. Congrats to you, Crystal! You have a great career before you and Toledo (and all of America) loves you! Crystal is a positive ambassador for Toledo and the TSA.